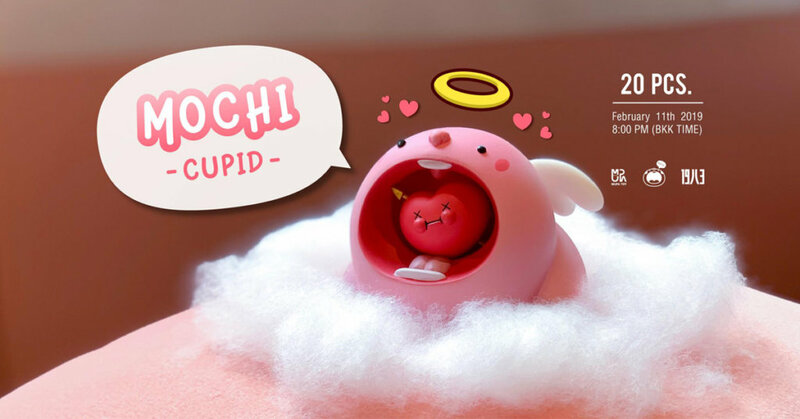 MUPA Toy x 19八3 toy presented you all with MOCHI last year and you all fell in love with the little fella. With Valentines Day just around the corner, love is the theme and MUPA Toy x 1983 toy are set to release the next version. WHEN: February 11th 2018 20:00 Thailand BKK TIME. – WeChat group MUPATOY x 1983Toys : 10 pcs. – 1983Toys APP : 10 pcs. – 1983Toys Store : 10 pcs.